It was the end of the school year and I had just finished a decorating unit where students had to create a shoe box room applying the elements of design. The art teacher had just finished a Zentangle project with her students. So, we had this idea to use the last couple of school days to merge our classes together to create Zentangle cookies using edible markers. This idea was based on a Michael’s project, but adapted to fit our needs. This was a fun, easy project that students had a good time designing and eating and one I would definitely do again! The first thing we did was break the graham crackers into squares that resembled tiles. You could probably use pre-made sugar cookies or have your classes prepare them in class. We were short on time and we wanted them to be like mini-tiles, that’s why we went with graham crackers. Prepare the frosting as per these directions. We frosted the graham crackers the afternoon prior to the day students were to decorate them so they had time to set up. We found that it was easier to outline the cookies first and then fill in the centers. That was there were no drips. 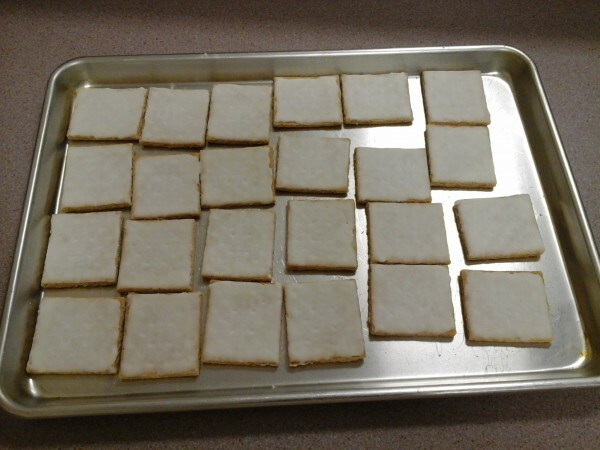 After frosting the graham crackers, we placed them in the oven to set over night. This way nothing would bother them. 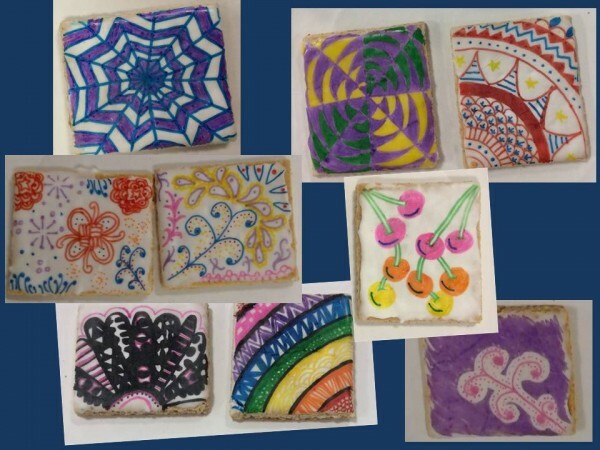 When students came to class the next day, each received a packet of Zentangle designs found here to use as inspiration as they created their designs using edible markers. Each student received two tiles. The idea was based on this Michael’s project, but we chose to have students use colored markers instead of just black and white. After students finished their designs, we photographed them and so did they as they were quite proud of their accomplishments (as were we) and then they enjoyed eating them! This was just a fun way to show students how they could easily decorate cookies for parties in a creative way! The supplies we used were purchased from Amazon and are referenced in the my picks below. 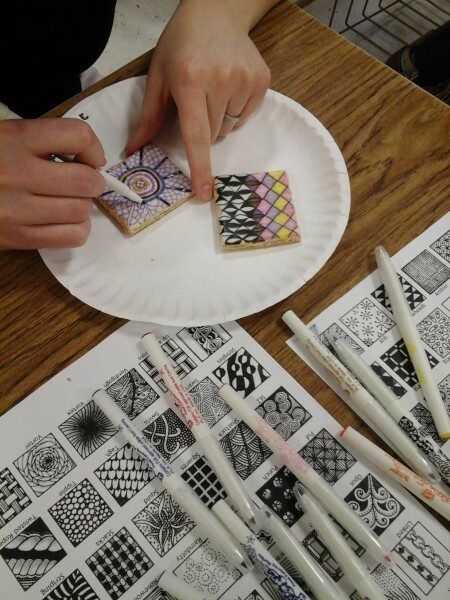 Zentangle cookies is a very interesting and creative idea! The food that is served in a special way is more attractive. Zentangle cookies are very attractive and they can be done together with kids. I'm sure kids will enjoy the process.